One of Britain’s greatest Paralympians has told a parliamentary meeting to beware of claims that London 2012 “changed the world” for disabled people. 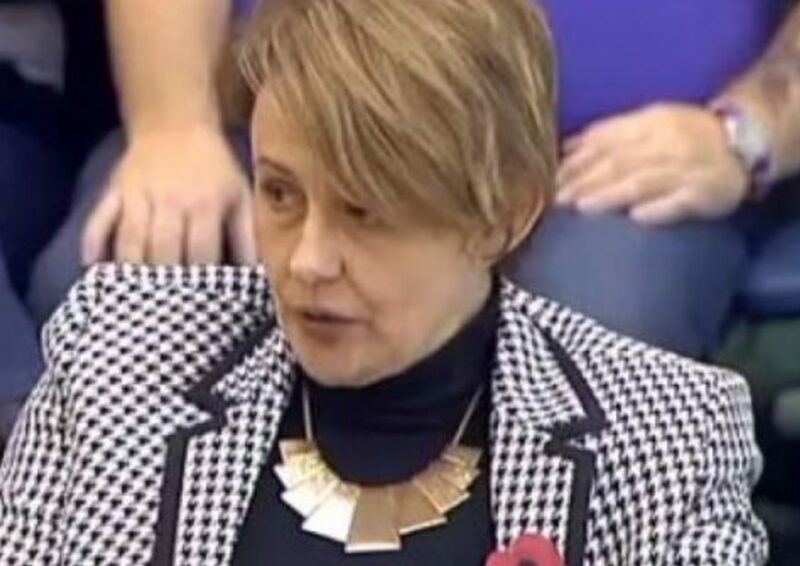 Baroness [Tanni] Grey-Thompson was speaking at a parliamentary meeting held to discuss the need for more to be done to enable disabled people to take part in physical activity. The retired Paralympian – she won 11 Paralympic golds as a wheelchair athlete – and now crossbench peer said that some of the often-repeated claims that “2012 changed the world” were “nonsense”. She told the meeting of the all-party parliamentary group for disability that London 2012 “did lots of incredible things for the Olympics and Paralympics, but it didn’t change disability hate crime, which is on the rise, especially against children, and it didn’t change many disabled people’s opportunity to be physically active. Baroness Grey-Thompson, who was speaking as both a crossbench peer and chair of ukactive, which promotes physical activity and represents large parts of the fitness and leisure industry, said the Paralympics were “great if you’re talented and want to spend all your life training and make it to the highest levels of sport”. But she said that disabled people also need “the same opportunity to be fit and healthy” as non-disabled people and to just be “rubbish at sport”. She said physical activity “can make a huge difference to disabled people’s lives”. She added: “Inactivity is really common for disabled people and those with long-term health conditions, and this is the scary bit: disabled people are twice as likely to be inactive as non-disabled people. She told the meeting that families had written to her to tell her that their disabled children had been excluded from physical education at school for “all sorts of reasons” including “health and safety”. Mike Diaper, director of children, young people and tackling inactivity for Sport England, said his organisation had invested £12 million in targeted funding to help promote physical activity for disabled people. One of the charities it is working with is the disabled people’s organisation Disability Rights UK through the Get Yourself Active scheme, which brings together health, sport and social care, and helps disabled people use their personal budgets to take part in physical activity. Huw Edwards, public affairs and research director for ukactive, said his organisation worked with more than 4,000 members across the UK, with most of them from the fitness and leisure sector, but he admitted that the sector’s efforts to enable disabled people to engage in physical activity were “a work in progress” although it had “great ambition”. He said they had access to data on more than 500 million visits to local authority leisure centres in the last five years, but there was no information on the involvement of disabled people in those trips. Disabled people attending the meeting also raised their concerns about the barriers to accessing physical activity. Chris Jeffery, chair of Mending the Gap, told the meeting that more should be done to improve the disability equality training of staff in gyms and leisure centres. And Phil Shoebridge, chair of Centre of Excellence for Disability Archery in Kent, said it was becoming increasingly difficult for members of grassroots disability sports organisations to afford to hire venues run by schools and local authorities because they were so intent on maximising revenue.